If you visit Facebook today, the chances are that you'll come across someone trying to sell something. It could be a friend looking to make some money from an old smartphone or a thousand-strong parenting group looking to trade items for their little ones. 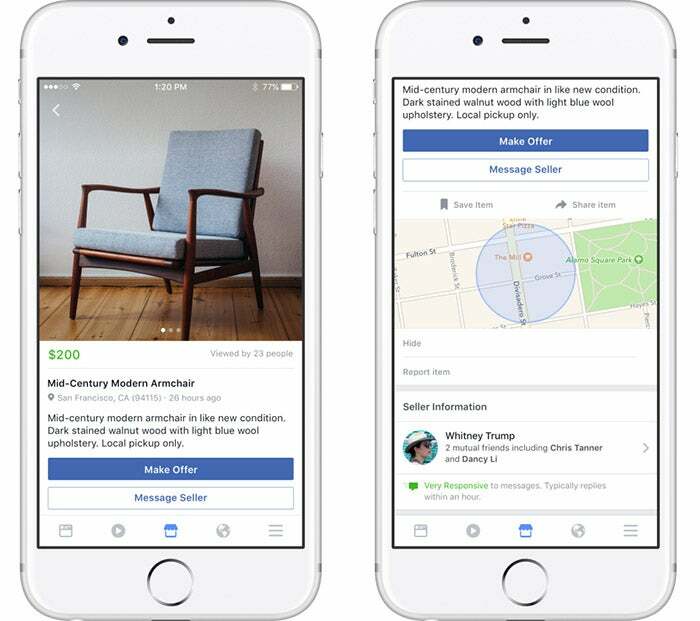 Facebook has slowly to list their items, but today the company has launched Marketplace, a new way for users to "discover, buy and sell items" with other people in their area. Although Facebook already , the company categorically states that it is not performing the role of a retailer or auction site: "You and the seller can work out the details in any way you choose. Facebook does not facilitate the payment or delivery of items in Marketplace." That also means it won't charge users for listings, and other app-based buy and sell apps. With Facebook , sites like eBay and Craigslist will be watching Marketplace with keen interest. Sure, it's currently only available in four countries, but with little to no oversight over sales and payments, the company is free to take it to new markets at will. Facebook says it will "continue expanding [Marketplace] to additional countries" via its iOS and Android apps, and will make the service available on the desktop "in the coming months." ‹ Previous Post ¿Porque Century21 se ha convertido en la organización de bienes raíces de mayor éxito?